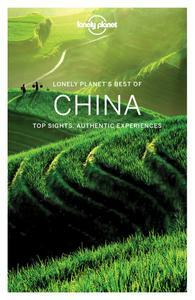 Lonely Planet Best of China (Travel Guide) is your passport to the most relevant, up-to-date advice on what to see and skip, and what hidden discoveries await you. Explore the Forbidden City in Beijing, marvel at the Terracotta Warriors in Xi’an, or wander around the pagodas and lilting willows of Hangzhou’s West Lake; all with your trusted travel companion. Discover the best of China and begin your journey now! The Perfect Choice: Lonely Planet Best of China, our easy-to-use guide, filled with inspiring and colorful photos, focuses on China’s most popular attractions for those looking for the best of the best.